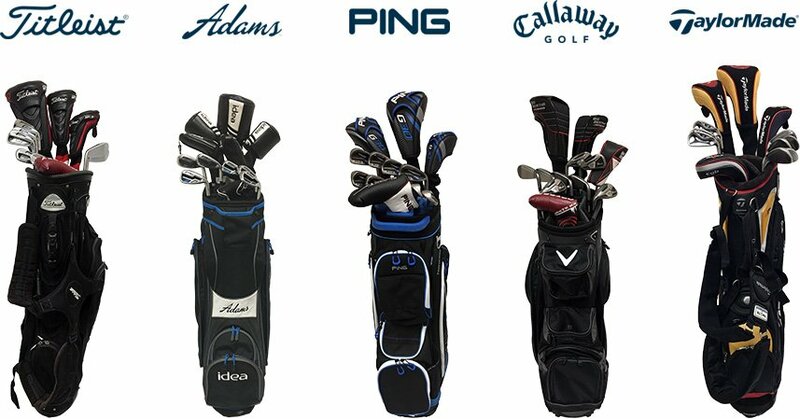 Silverstone Golf Club, a five-star golf experience for golfers of all ages and abilities. 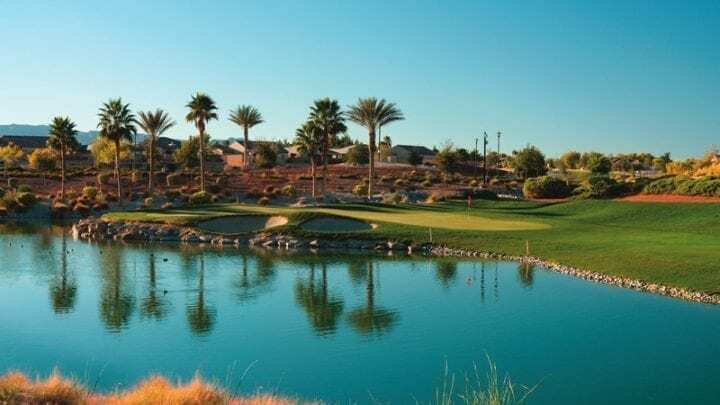 Conveniently located just minutes from the heart of the Las Vegas Strip, Silverstone Golf Club offers golfers of all skill levels a true winning hand - three unforgettable layouts you'll enjoy again and again and again: Mountain, Valley, and Desert. 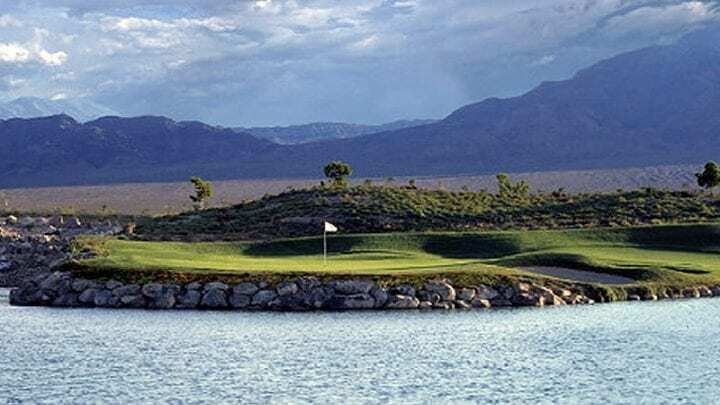 Robert Cupp has created a unique 27-hole design that is uncommon to golf in the Las Vegas valley. 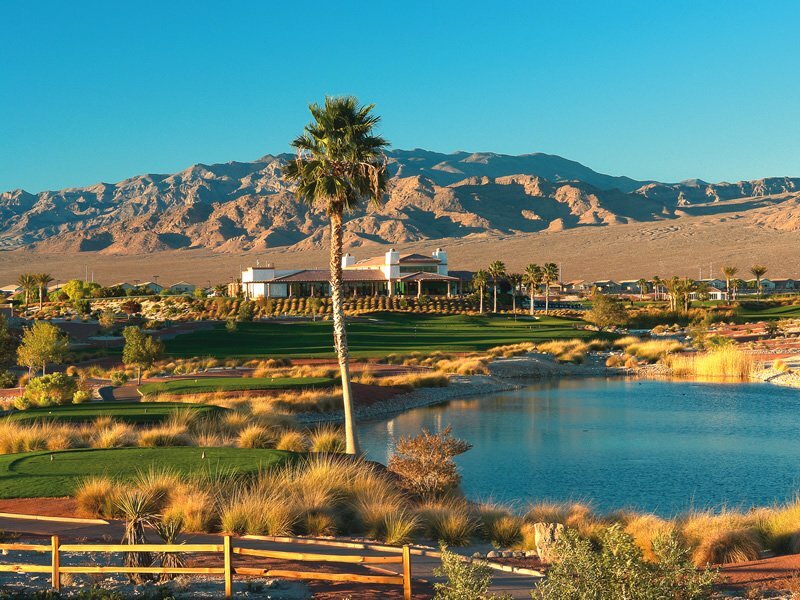 With exceptionally low green fees compared to the majority of courses in the area, Silverstone is a “must play” for Las Vegas golf. 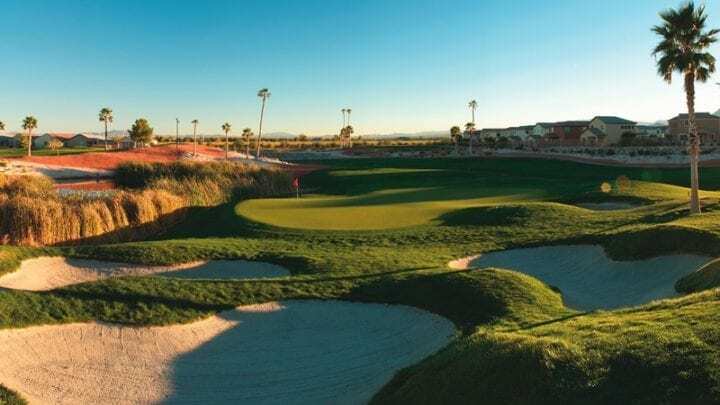 These links-style courses have taken a relatively flat layout and created something spectacular that requires golfers to not only hit it straight, but long and have the ability to work the ball. Boasting as the longest hole in the entire city, and the number one handicap hole, the Mountain course hole number three is a par-5 stretching 653 yards from the tips. With out of bound to the right and left and with a menacing lake scooping up shots from the roughly 120 yards to the green and in, makes this hole even more difficult. Sometimes the pin is tucked back left making your approach shot see like something you need to pray for before you fire away. 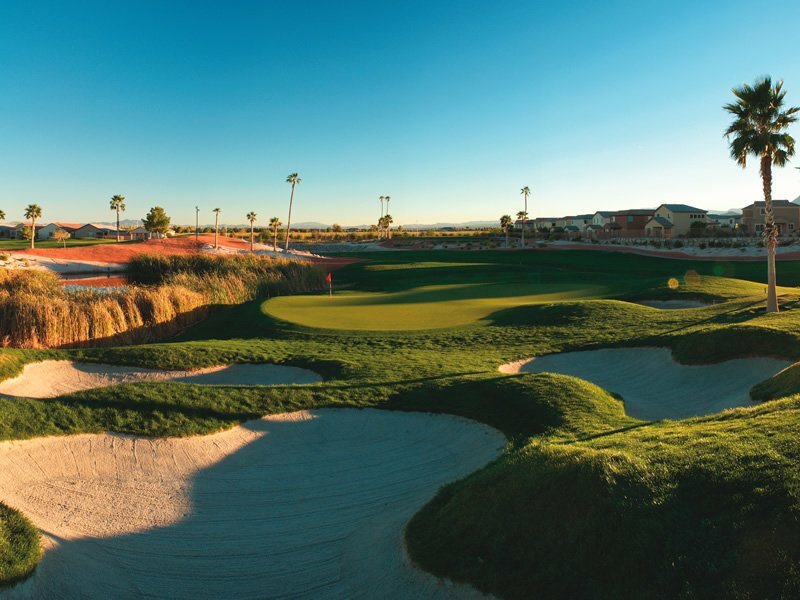 The number one handicap hole on the Desert course is another par-5, stretching to 627 yards for the tips. With a 250-yard carry from the tips, yank out your driver and “grip it and rip it, hit and hope.” Then with well placed bunkers in the right rough and one sitting about 50 yards out, placing your shots are a must. Take dead aim and fire to your target; this hole requires some good shot making in order to get away with a par. With the Valley course being the least challenging out of the three, do not let your guard down. Starting out with another 600 yard par-5, par-3s over water, and par-4s where the green might as well be in the lake, it does not seem that much easier. Shot accuracy and length is a must. Keep you head up and your eyes open. Silverstone has also recently upgraded their GPS system to a brand new technology created by Greg Norman, called the Inforemer-HD GPS. With a 10.4" LCD screen, the Inforemer gives golfers more information and several options to help manage their round and keep them up-to-date with what is going on with their favorite sports team while on the course. It comes with a CBS sportsline ticker giving the group real time scoring and updated news for the day's games. With yardages from anywhere on the course, tips for where to and where not to hit your shot, handicapping, and tournament scoring, this is a GPS system that has left the other in the dust. 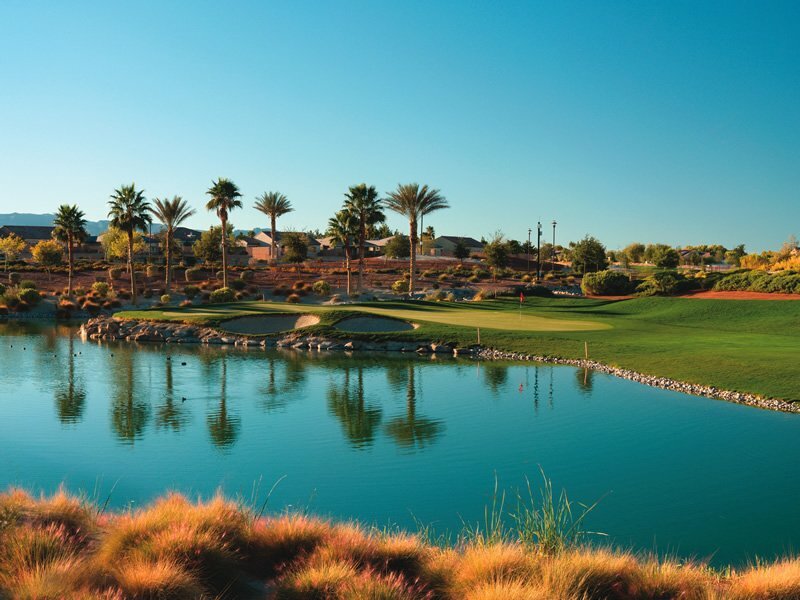 Silverstone Golf Club is located 20-25 minutes form the Las Vegas Strip. 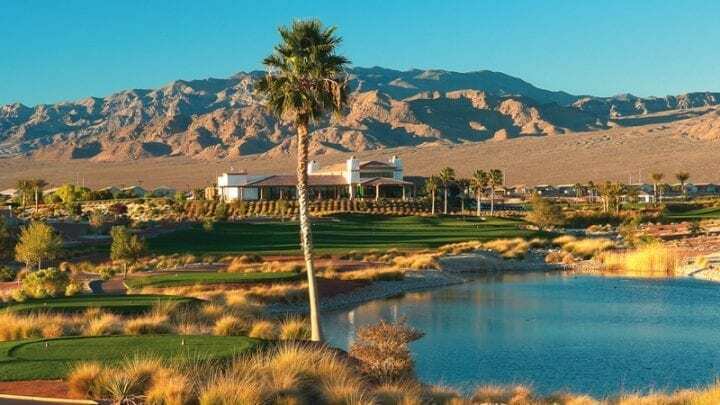 With a beautiful 34,000 square foot Mediterranean Villa designed clubhouse, the panoramic views of the golf course and mountain ranges, the amenities seem to pour in. A full-services grill and restaurant, a banquet hall able to serve up to 500 guests, valet services, men’s and women’s locker rooms, a fully-stocked golf shop, and home of the Silverstone Golf Academy, nothing is left to be desired. With the best staff in town able to serve any tournament needs, make Silverstone Golf Club your next venue for your upcoming corporate golf outing. The course plays Ryegrass fairways and Bentgrass greens year-around. The facility comes complete with a large driving range, putting green and short game area. 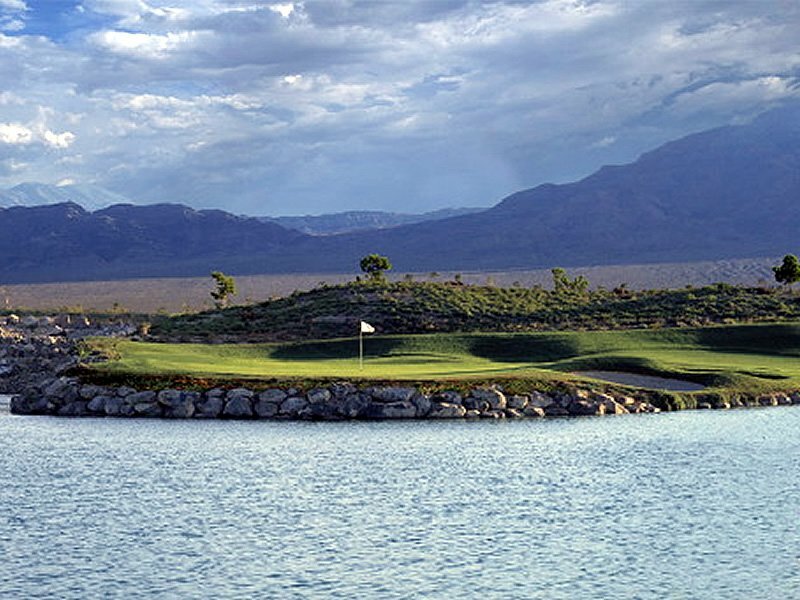 Silverstone Golf Club is a “must play” for Las Vegas golf.